According to a survey, more than three quarters of Czech entrepreneurs are in favor of the country adopting the Euro. The trust in banks is continuing to decline. The scepticism towards the financial branch has increased among 39 percent of Austrians while trust in banks only increased among five percent. Despite economic recovery the Austrian citizens are still cautiously observant. Only 49 percent of Austrian citizens have faith in the Euro. The governing party Fidesz under Prime Minister Viktor Orban is expected to become the clear winner of the parliamentary elections on Sunday. Almost a quarter of Czech citizens support the idea of joining the single European currency union. 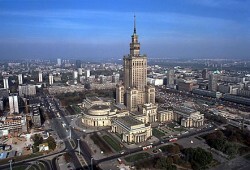 Enterprises in Poland are becoming more and more optimistic. The majority of the Serbian population does not trust state institutions, particularly the judiciary. In an attempt to gain another four years as head of the government Hungarian Prime Minister Viktor Orban praises the country’s achievements in the past years since his Fidesz party came into power. 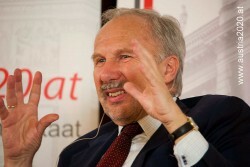 After Liebscher, head of Hypo Group’s task force, announced throwing in the towel Nowotny, Governor of the Austrian National Bank (OeNB), will become his successor. According to a survey conducted by Austrian news magazin “Profil”, 35 percent consider the Austrian Freedom Party (FPÖ) to bear the main share of the blame in regard to the financial disaster of Hypo Group. More than 90 percent of Bulgarian citizens deem the country to be in an economically bad situation. Around two third of Austrian investors prefer safe form of investment like real estates and properties. A survey reveals the fear of financial institutes enriching themselves at the expense of of private persons is widely spread. At the beginning of April, Hungary will hold elections. Despite a high level of dissatisfaction and political frustration, there will be no government change. After six consecutive years of negative growth rates, Croatia´s economy is still far away from a recovery. Nevertheless, Croatian entrepreneurs are relatively optimistic. According to the CFO barometer, large enterprises fear that the access to bank loans will continue to worsen. 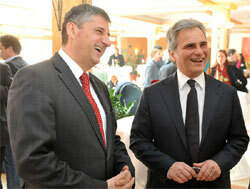 Austrian SME want to become more independent of banks. A survey among Serbian citizens about an EU membership reveals weak support. A great majority of CEOs at Romanian enterprises are confident in regard to the economic outlook and growth in 2014. ZEW-Erste Group Bank Economic Sentiment Indicator for the CEE at lowest level. The purchase manager index for the private economy increased to 53.2 points up by 1.1 points, as published by Markit research institute on Thursday. According to Erste Group, the amount to be saved continues to shrink substantially. What is more, average loan amounts are declining moderately. The top one percent of Austrian households possesses more than 50 percent of all investment income. The financial institutes in the Eurozone have been cutting back on granting credits. The lending for both business corporations and private persons has dropped by 2.3 percent. 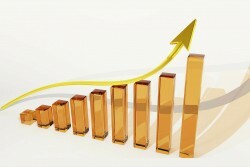 According to the release of the Serbian Statistical Office, GDP is estimated to have grown 2.4% in 2013. 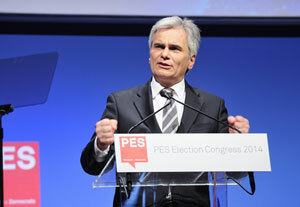 The first round for the presidential elections in Slovakia will take place on March 15, 2014. 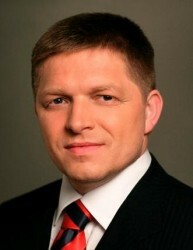 Slovak Prime Minister Robert Fico, who also serves as head of ruling left-winged Smer Party, announced his candidacy for the presidential office next year. According to a survey, almost 60 percent of Bulgarians would not take out a bank loan regardless of the terms. According to an online survey, the Austrians are confident and not concerned by the most recent recession in the Eurozone. 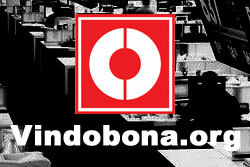 With a total of 87 index points consumer’s confidence remained stable in the third quarter of 2013. According to infrastructure report “FBA“ (Future Business Austria), the Austrian business location is suffering from poor infrastructure which leads to the country missing out on a productivity potential of almost € 34bn. According to a survey by research institute Markit, industrial production in the Eurozone increased in October for the fourth time in a row. However, the rate of growth is still low. Sentiment indicator lower than in the previous month In October 2013 (-13 percentage points) the sentiment indicator was 1 percentage point lower than in September 2013 (-12 percentage points). According to a study carried out by the American Chamber of Commerce (AmCham), the quality of the Austrian industrial location is seen ambiguous. The majority of financial managers in the country are still restrained with investments. However, the majority estimates increasing turnovers at enterprises, according to the CFO barometer. On Tuesday, the EU Commission intends to give green light to accession negotiations with Turkey starting at the beginning of November. According to a survey, the majority of Austrians are opposed to an EU Accession of Turkey and Western Balkan States. According to a recent survey carried out by Public Opinion Research Center (CBOS) as many as 70 percent reject the idea of introducing the Euro to Poland. According to a poll, 52 percent of Polish citizens regard the country’s joining the single currency union will be bad for the country. According to the EU Commission’s annual report on the competitiveness among the EU member countries, which was released on Wednesday, Poland has been improving its competitiveness. According to the latest survey, the Social Democrats (SPÖ) and the Austrian People’s Party (ÖVP) will have to face losses in the elections of the National Assembly on Sunday. However, they should be able to hold the majority. According to a new poll by TNS Polska, the majority of Polish citizens are displeased about the country’s situation reports Polish news agency PAP. According to a survey carried out by consulting company Deloitte, almost 90 percent of Czech enterprises will keep the amount of expenses in research and development unchanged or even increase the spendings. Fewer and fewer Turkish citizens are keen on an EU membership of their country. 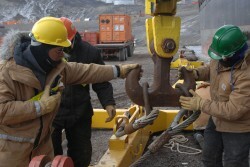 A survey of a Socialist trade union shows that 80 percent of employees are opposed of a working day of twelve hours. 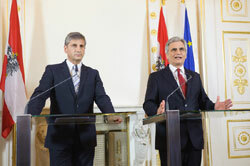 In an interview with Austrian daily “Österreich“ (Sunday issue) Chancellor Faymann announced that the new government will be reduced by two members of parliament. Compared to the results of last month, both Chancellor Werner Faymann and his Deputy Michael Spindelegger have lost the voters’ trust according to the APA/OGM Trust Index that was carried out on a sample of 500 persons. 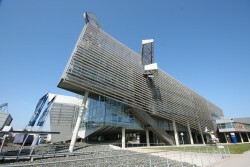 Outlooks for Slovenian jobseekers have darkened. According to a recent survy of temporary employment company Manpower presented on Tuesday, employment outlook has dropped from 7 percent to zero. According to a poll, 28 percent of Czechs would vote for the Czech Social Democratic Party (CSSD) if an election was held now.